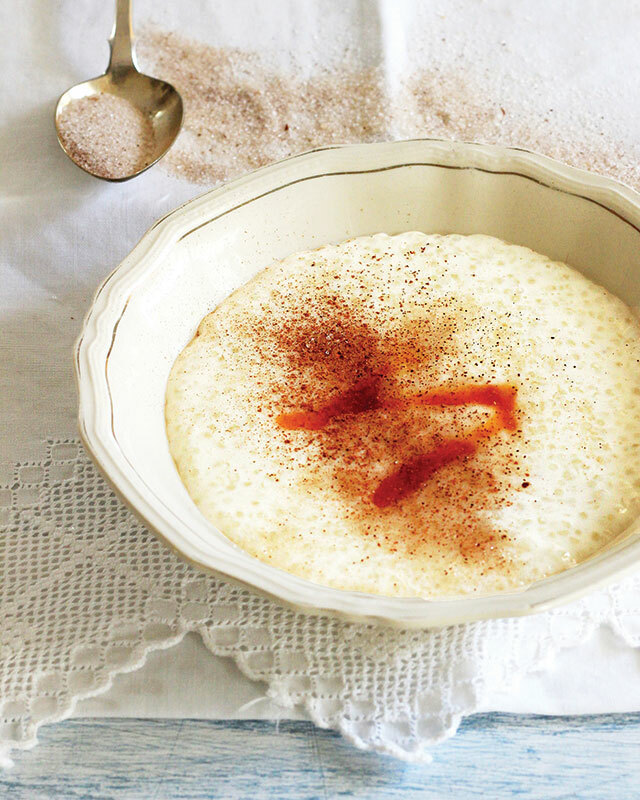 Melkkos (Milk Food) is one of those South African heritage dishes that conjures up memories of family dinners ‘round the kitchen table and the sweetness of childhood. 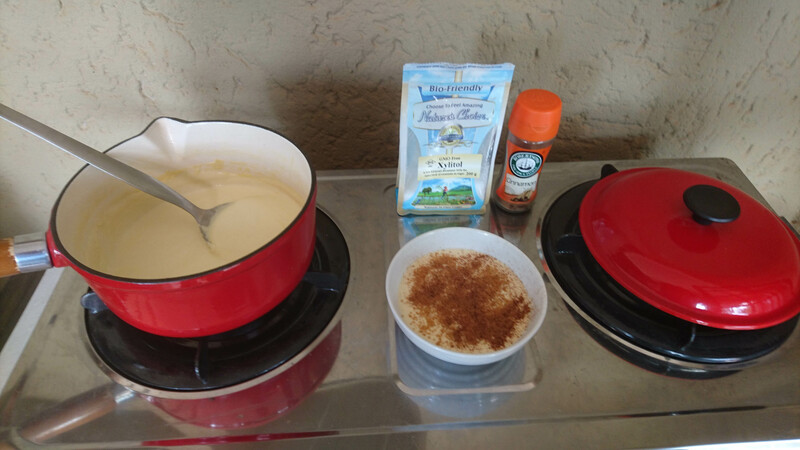 The recipe for the traditionally Afrikaans creamy, milky, cinnamon concoction is often passed down from a long line of grandparents and parents. 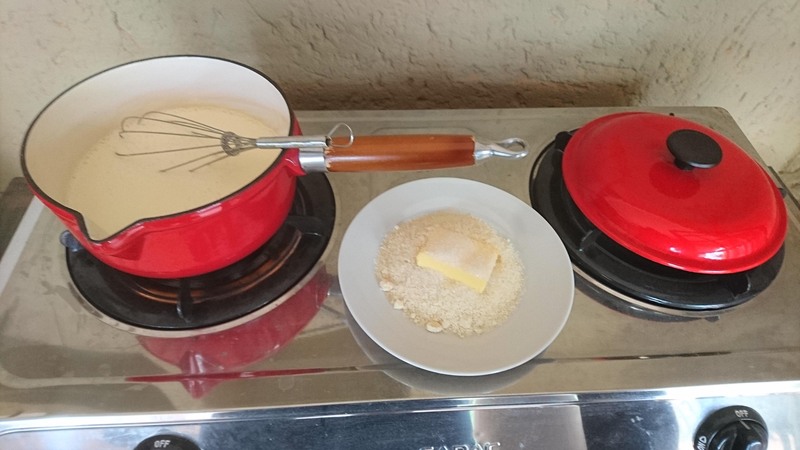 Melksnysels (noodles boiled in milk) and melkkos wonderfully synonym! Delightful and filling! Combine the Milk, Cream, Vanilla Essence and Xylitol in a medium pot and heat slowly to boiling point. While the milk mixture is being heated, mix the Almond flour and salt and rub the butter in the dry mixture until it resembles breadcrumbs. 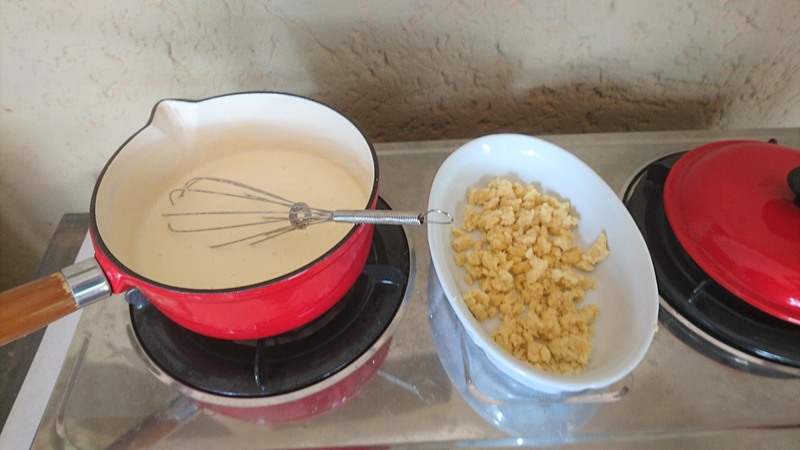 Sprinkle the crumbed mixture into the boiling milk and simmer for 8 minutes, while stirring with a whisk. Remove from heat and serve immediately. Serve the melkkos with a knob of butter if you like and a sprinkle of Cinnamon / Xylitol Sugar on top. Spoon it up on cold winter evenings while you’re curled up on a sofa or in front of a crackling fire. 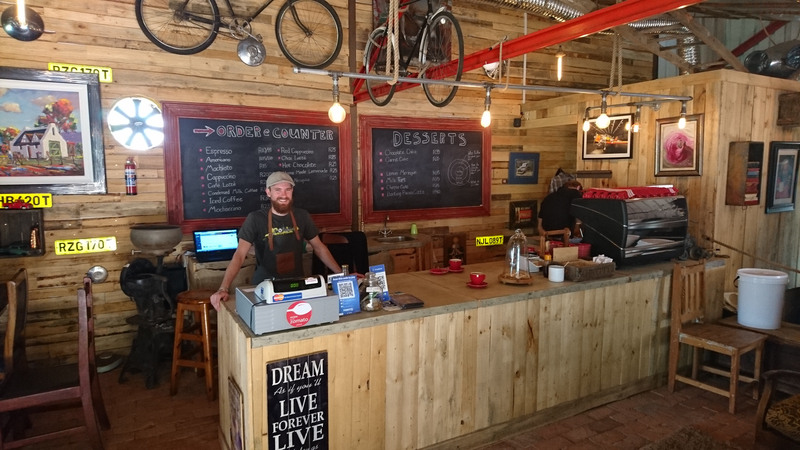 #ketopta, Afrigting, Danie Strydom, Good Food, KETO, kuier saam, Leefstyl, Leefstylafrigting, lekker kos, Life Coaching, Lifestyle, melk en vaste spyse, Melkkos, milk and solid food, Resepptee, Wynproe. Bookmark.